Provide food which promotes healthy eating. Provide hot and cold food prepared in our own kitchens to a menu directed by the East Riding Council. Provide free school meals to all Foundation and KS1 pupils. 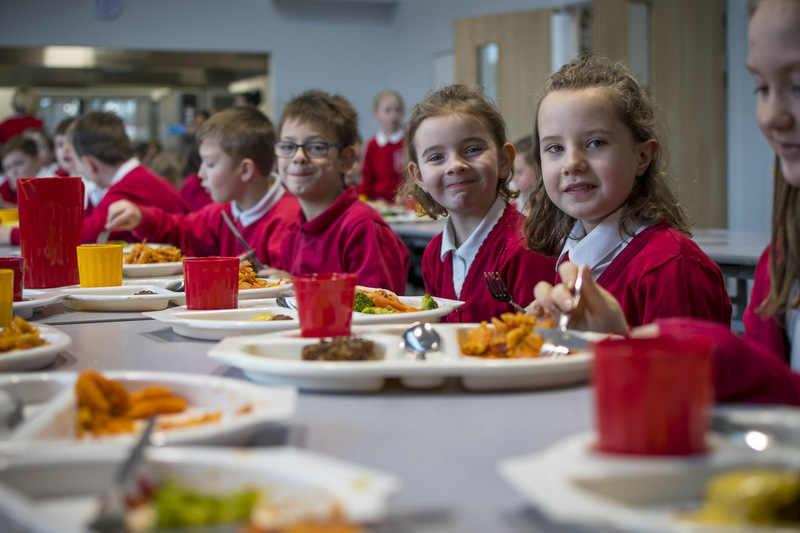 Provide advice and support for those who may be entitled to free school meals in KS2. Recycling is encouraged and to keep the waste to a minimum children are asked to take their rubbish home for disposal. There is a fifteen minute break incorporated into the morning session. In Foundation unit the children are provided with a drink of water, juice or milk and a piece of fruit at morning break. In Key Stage 1 the children are provided with a piece of fruit at the morning session. In Key Stage 2 the children are able to purchase a drink, roll or bagel and fruit from the school kitchen tuck shop.